November 13, 2018: Tryano, the only luxury department store in Abu Dhabi is happy to announce the launch of ELEMIS, the first one in the Middle East exclusively at Tryano. 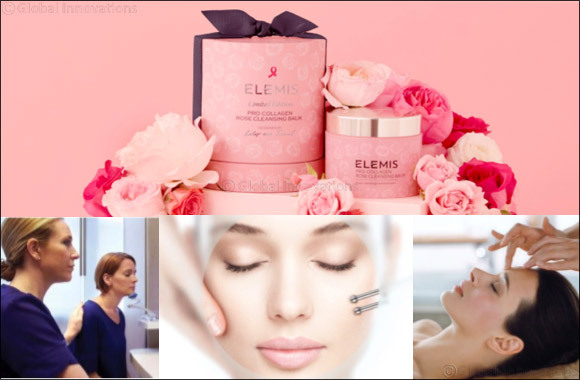 ELEMIS is the pioneering British skincare and spa brand, working with over 1,600 luxurious spas and salons, 155 lavish cruise ship spas and over 150 retail stores around the globe. It was acquired in the region by Luxuria Middle East in June 2017. The successful combination of powerful, natural ingredients, cutting-edge formulation technology and proven clinical trials has enabled ELEMIS to bring to market some of the most influential anti-ageing skincare products and professional spa therapies the beauty industry has ever seen. In a fast-paced world, it is important to take some time and relax. ELEMIS’ customers take skincare seriously, they are result oriented and expect products to achieve visible results and respond well to clarity and integrity. They are forward thinking and embrace new advancements and technologies in skincare. They know the quality of the brand. In line with Tryano’s vision to offer a curated experience to its customers, the department store collaborated with ELEMIS bringing personalized treatments to support great skin health along with products offering unique textures, ground-breaking formulations delivering real results. For their launch, Tryano and ELEMIS organized an event inviting press and VIP customers for a morning of pink delights, unique SkinLab consultations, complimentary mini facial treatments and post-treatment make-up application. In addition, they collaborated with Pink Caravan to raise awareness around Breast Cancer offering their guests a free Breast Cancer screening. It is time to pamper yourself and take good care of your skin. Book your appointment at ELEMIS, exclusive to Tryano and get the expert advice and care you deserve. Services include Professional Skinlab consultation, indulging body on medical massage chair while facial treatments 30/60 min performed by ELEMIS Professional Therapist, ELEMIS Biotec technology treatments. Each spa therapy, taking over a year to develop, is created by the president of ELEMIS Noella Gabriel, using extensive clinical and scientific studies to ensure every therapy shows real results. A unique point of difference in the over 60 spa, retail and travel spa therapies, is that every treatment provides clear solutions and a structured programme for every lifestyle concern. This lifestyle approach empowers the therapist to deliver in-spa and homecare programmes for maximum results, encouraging repeat visits and driving high demand for the retail product. Facials Clinically trialled to deliver anti-wrinkle, radiance and resurfacing results, the hero Pro-Collagen Age Defy Facial is proven to reduce the number of wrinkles by up to 94% after just one treatment*. The unique fusion of actives, touch and technology. 8 highly effective, super-charged facial treatments targeting specific skin needs to reveal a new generation of facials for uncompromising results. The ELEMIS SkinLab consultation lasts 15 minutes and includes a 3D skin and facial mapping analysis. We use clinical imaging which works by taking six different photos of your skin, allowing our therapist to identify any blemishes, UV damage, wrinkles, problem pores, areas of sensitivity and an instant analysis of what skin type you are.